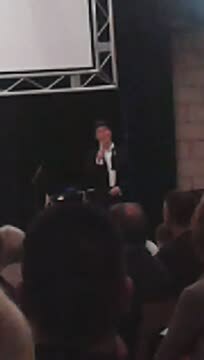 Al The Crooner performs singagrams throughout the Greater Manchester area and beyond. This includes 1 or 2 songs. If you are flexible on time, availability is usually pretty good. 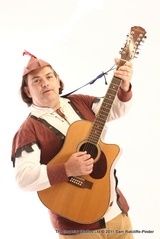 For something much more personal, why not ask The Wandering Minstrel to write a special hilarious song all about them, from whatever you tell us about them. He will put the song onto full band production audio CD, printed with photos you supply, so that it looks like a shop bought CD and will make a wonderful present for them to treasure forever. They will also receive a photo laminated lyric sheet of their special song. 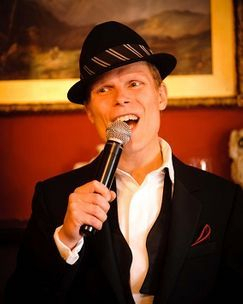 Due to health reasons Mike The Minstrel is currently not traveling to Manchester but he is happy to write and record the song for Al the Crooner to sing. Have You Met Miss Jones Robbie Williams How D’Ya Like Your Eggs In The Morning. Give us plenty of notice and it may be possible to add songs to this list.